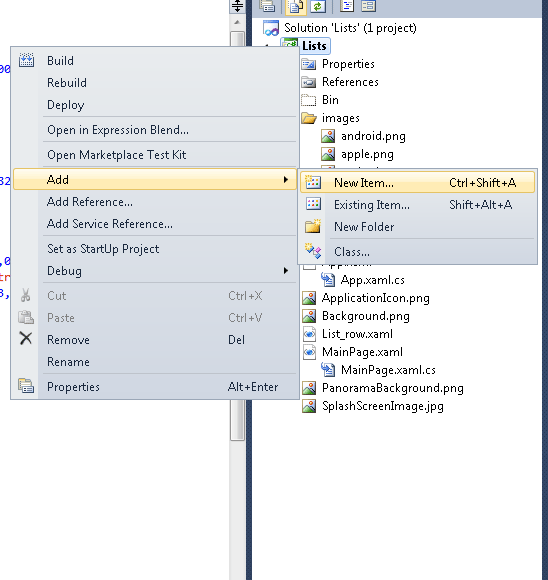 For creating Custom ListView First create a new project named “Lists” and the language is “C#” here. Now open the “MainPage.xaml” and copy this code. Now we have to create another xaml for each custom row in the List. For that right click on the project folder in the solution explorer. Please check the screenshot, then select Add->New Item. 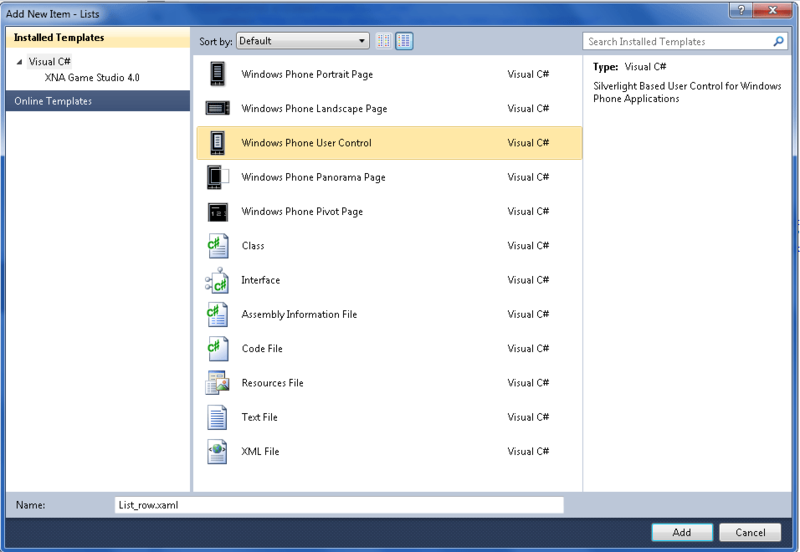 Now select the “Windows Phone User control”. Now in the “List_row.xaml” file copy this code. Copy five image files into a folder named images in the solution explorer as shown in the first screenshot. Now we go to the C# code. Open MainPage.cs from the solution explorer and copy this code into it. Download the complete source code from here. 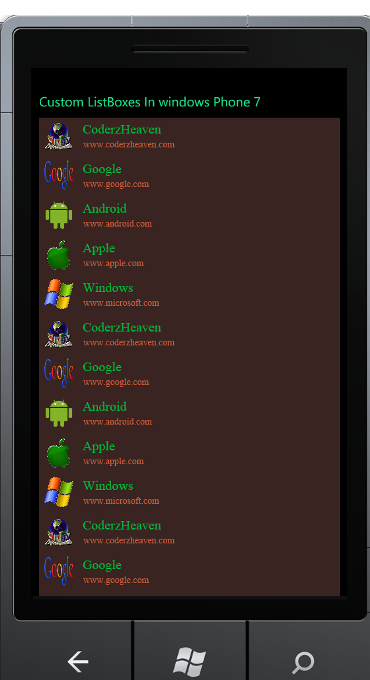 Reading webpage contents as a string in Windows Phone 7. I am also trying to implement a custom listbox. I want to support both orientations. The above example doesn’t seem to support Landscape mode. Please post if you have any idea how to provide it.